Hartford’s iconic Mid-Century Modern tower has been reinvented for downtown living. Conceived as a model for sustainable development, the community is LEED Platinum® certified by the U.S. Green Building Council, its highest rating for buildings that are healthier and reduce stress on the environment by being energy and resource-efficient. 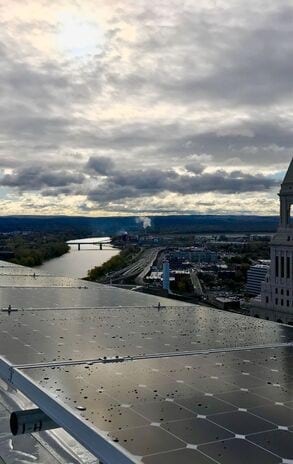 336 Rooftop Solar panels and a 400 kilowatt fuel cell generate clean, combustion-free renewable energy to power and heat the building. Nest smart thermostats, over two dozen electric car chargers and a walkable, transit-friendly location support a lifestyle that is healthy for your wallet and for the planet. 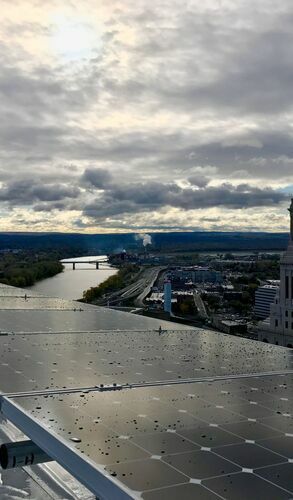 Wake up to breathtaking views of the city through your own 9-foot floor-to-ceiling windows: the Old State House, the Connecticut River and the capital city skyline. Come home to a 24/7 concierge at your service in the fabulous polished granite, 22-foot high lobby. 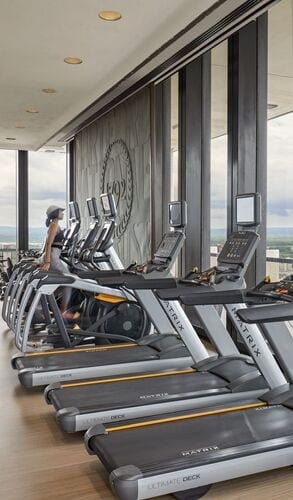 Enjoy your life on the penthouse amenity floor featuring a wraparound terrace, club room, mahogany-paneled library, art gallery and fitness center. 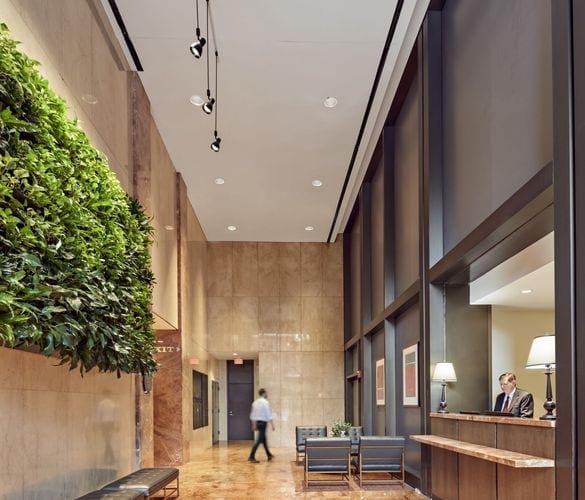 777 Main Street is a pet-friendly building, with its own lushly-landscaped pocket park. 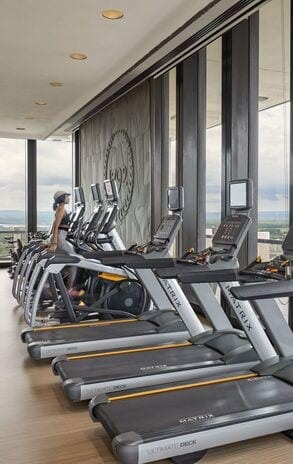 For the smartest new apartments in Hartford, CT look no further than 777 Main Street! 777 Main includes a vibrant mix of national and locally-owned retailers. At your doorstep you’ll find Blue State Coffee, Greenway Market, CVS, Camera Bar, Harvey & Lewis Opticians, Parlor 55, Dhaba Wala Indian Kitchen, Subway and the Hartford Sweat yoga studio. With a WalkScore® of 96, 777 Main is a “Walker’s Paradise”. Restaurants, bars, parks and the farmer’s market are in easy reach. 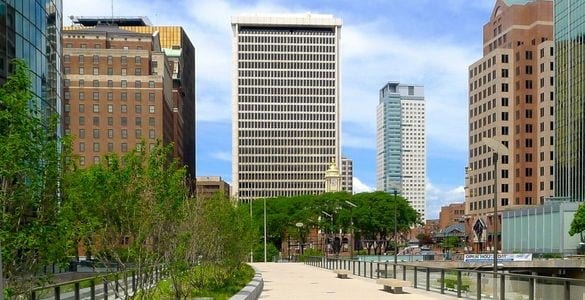 Within a 5-minute walk you can explore Hartford’s many recreational, educational and cultural keystones such as Riverwalk, Bushnell Park, UCONN, the Connecticut Science Center and the Wadsworth Atheneum Museum of Art. Expand your reach into Connecticut’s vibrant capital city with Lime Bike and 777’s bike sharing program.